Neymar’s ascent up the Brazil appearance continued on Friday, as a start against Uruguay saw him move into the sole position of 10th all-time in caps for the nation. The Brazil star made his 95th appearance for the Selecao as they squared off against their South American rivals in a friendly at the Emirates Stadium in London. Neymar had been tied with the late goalkeeper Gilmar coming into the contest. A former Corinthians and later Santos star, Gilmar featured 94 times for Brazil between 1953 and 1969, and and was the starter for both of his country’s first World Cup triumphs – in 1958 and 1962. Neymar won’t be able to pass anymore Brazil legends in caps this international break, but he should be in position to gain a few places this spring and summer. In ninth is former Barcelona star Ronaldinho, who is on 97 caps. Former Real Madrid star Ronaldo and the late Djalma Santos are tied for eighth on 98 caps. Robinho is sixth on 100 caps, while Claudio Taffarel is fifth at 105. Neymar will have some way to go to reach the all-time leader, retired defender Cafu, who sits at 142. But at just 26 years of age, it appears a mark well within reach for the Paris Saint-Germain star. And while he moves up the record books in one category, Neymar is not far off chasing down Ronaldo in another. 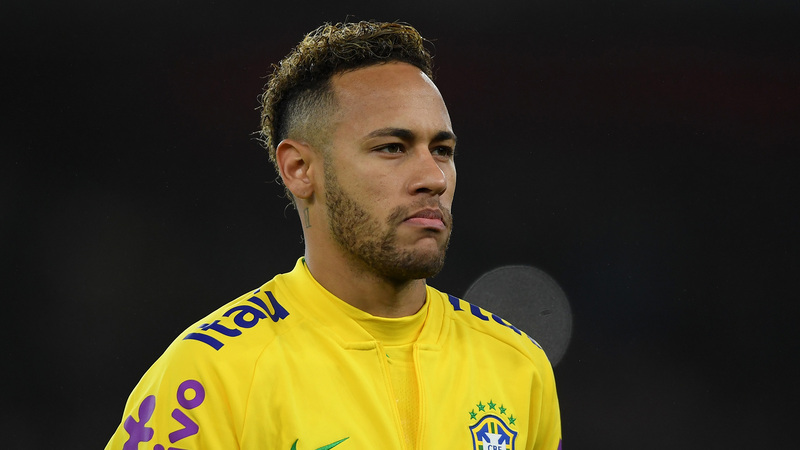 With 59 Brazil goals to his name coming into the match, Neymar sat just three behind Ronaldo, who scored 62 goals for his country in his distinguished international career. Surpassing Ronaldo would move Neymar to second all-time, with Pele, who scored 77 times in his 92 caps, still a little ways off.